The 2018 CrossFit Games Open competition brought all kinds of new challenges. The workouts were arguably the toughest we have faced as athletes in both the Rx and Scaled divisions. There were new standards for exercises that pushed athletes to their limits and forced them to be more proficient at skill-based exercises from the very beginning of the workout. 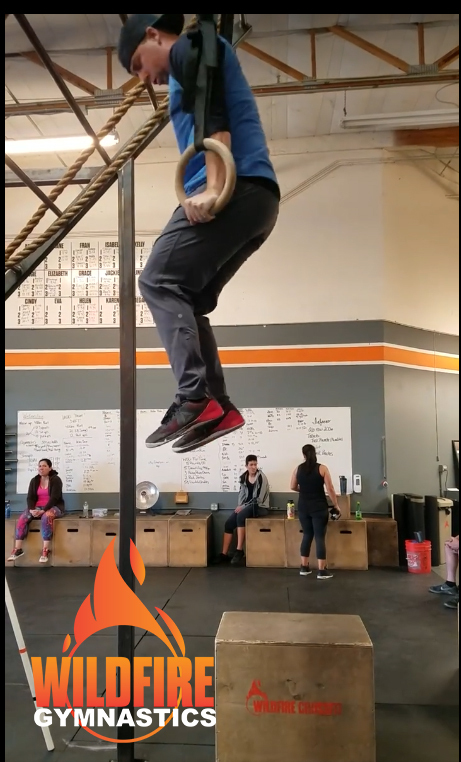 How many athletes got their first Muscle Up or Pull up because of Open WOD 18.3? I know at WildFire, we had several athletes who probably would not have even challenged themselves to get a pull up if the workout hadn’t forced the issue. And how many athletes got their first Muscle Ups in a workout because they had time to work on them? It makes it easier to see the method in the madness when it comes to how Dave Castro and the CrossFit HQ Team programs these workouts, because even though The Open is over, athletes are still holding themselves to higher standard. That’s the point of fitness. To continue to challenge yourself to get better, learn new skills, and to test our strengths and chip away at our weaknesses. So now that The Open is over, it is important for you to continue to challenge yourself to get better and learn new skills, and work on them during workouts. Just don’t do it at the expense of your workout. For example, if there are pull ups in a workout, and you just did your first few pull ups during The Open, continue to hold yourself to that higher standard. Just don’t spend the entire workout struggling to get 1 or 2 pull ups when there is more work to be done. Same thing goes with any of these skill related exercises. Today we have Ring Muscle Ups. If you just completed your first couple in a workout, work to get as many as you can, then make the appropriate modifications (bar muscle ups, pull ups & ring dips, or even muscle up transitions on the lower rings) so that you are still getting quality work in. As Coaches, we are here to help you work on these skills and get better as athletes. We will always find the time to help you continue to raise your game, so you can be the best athlete possible. That includes events such as the Kipping Clinic on Saturday, April 14th at 11:30am where we are going to be teaching you the skills you need to get your pull ups and make them more efficient. This is a free event to help you get better and learn new skills. It’s been awesome to watch the WildFire Community challenge themselves to reach new levels and we have some big things coming to make you guys even better, so keep it up and continue to be your best at WildFire CrossFit! Each 2 min is an AMREP for max calories. Score each individually. Rest 2 min after each 2 min of work.